As human beings, we are inclined to desire to be seen as successful, happy and generally comfortable with the lives we are living. In particular, there is an endless yearning to be seen as classy, rich and affluent, especially in the beautiful city of Kampala. However this desire is usually met with several constraints including less-than-comfortable prices of goods and services, robberies left right and center, the poor saving culture of Banakampala (people from Kampala) and often times, delayed salary payments. This therefore means that at some point, one is going to have to contend with living a more modest lifestyle. 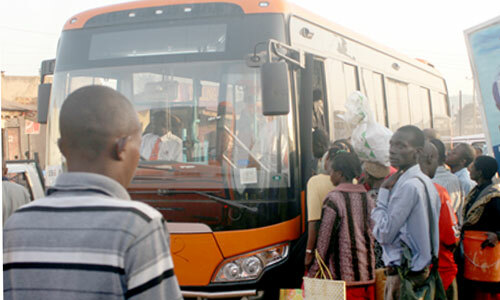 Most of the ‘working class’ Banakampala would rather be seen driving themselves home or in the very least, hitching a ride from a colleague or neighbor. This is why the ‘car loan’ lines at the various banks are almost always long – probably explains why there is non-stop traffic jam in this otherwise little humble city. The desire by everyone to have their own ride has pushed folks to do all sorts of things from coning one another of hard earned money to selling off all their inheritance just to make sure there is a car with one’s name to it parked in the drive way. All this hustle can however be brought to a very untimely end if one embraced the idea of the Pioneer bus. True, it is less classy and half the time you will be stuck under the arm-pits of a welder while the other half you will be struggling for a seat with an unemployed guy who works out quite a lot. However it is the most logical solution when times are hard and one really must get around the city. So here are tips on how you can make the Pioneer Easy Bus a part of your daily schedule without losing too many stones that you might have gathered as you work your way up the social classes. Always get to the stage for the buses before everyone else does. The importance here is that when the bus arrives, you will be the first to get your ticket and you will save yourself the hustle of shoving and pushing to get to the front of the line. The downside to this however is that your other friends who drive will pass by and see you at the stage, they will probably wave at you as well. So in essence you might end up losing a couple of stones this way. Once you survive being seen by a friend, colleague or OB, you can be sure that you will have inched closer to boarding the Pioneer Easy bus in stealth mode. Before the bus arrives, always ensure that you have changed money. This is the only sure way of having the conductors work on you before everyone else. Since the payments are usually in small denominations, you are better off having coins so that you drop them in the conductor’s hands, grab your ticket and explode into the bus without a worry. Having a large note will make you wait because there will be no balance otherwise known as “change” in this beautiful city. There are instances where the phone call is not long enough to give the other person the impression that you are not going to talk to them after all. Simply wave at them mildly and continue with your faked phone call. The point here is to avoid eye contact and to steal away any chances of this person trying to strike up conversation. It is important to spend as little time getting off the bus as possible. There are several reasons for this but the most important is that it will give the other Pioneer bus travelers little time to look at you; just in case any of them actually knows you. For better results here, you might want to stay on phone as you walk out. That way, no one will attempt to say hello as you rush out because you will be on phone after all. As you get onto the bus, there is usually a ticket that is given to each traveler. After getting off the bus, make sure you dispose of this ticket. This will help you to clear your self of any evidence that you ever came close to the dreaded Pioneer Easy Bus. If possible, as you leave the bus, simply leave the ticket in there! What happens in the Pioneer Bus, stays in the Pioneer Bus! 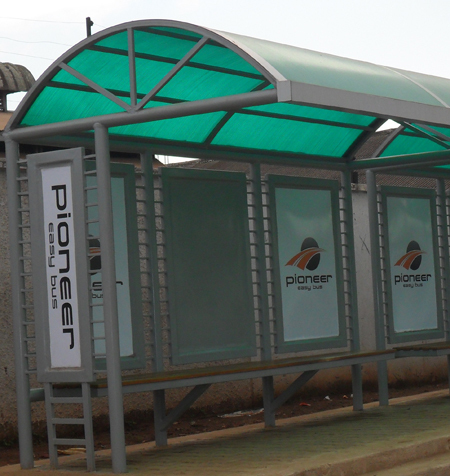 When it comes to that time of the month when the wallet is running on empty, you might be prompted to make use of the Pioneer Easy Bus more often than not. At such times, it is important to maintain as much distance from the entire Pioneer experience as possible. Make sure you board from different places otherwise you risk becoming a regular with one particular bus. 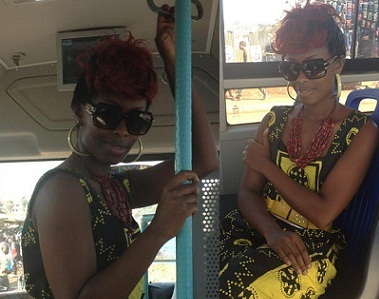 Misery would be boarding a bus and realizing the same people board the same bus everyday. Beyond misery would be boarding the bus and one of the conductors knows you by face and probably name! Avoid this at all costs! In the event that you have access to any social networking site (or blog) go on and rant about how the Pioneer Easy Bus system is not your kind of thing. Occasionally, throw in a comment about how fuel prices are sky high and how it is difficult to get a good oil change for your car. Once in a while, say something about a garage not having the latest oils or fuel running out from a service station that you know. You will deliver the perfect punch if you make mention about how you hate driving in traffic. …or how you hate lining up for bogus public transport means. When you have done all these things, you will have succeeded in passing the manual of “How to Board the Pioneer Easy Bus in Stealth Mode”. Give yourself a pat on the back, go and have a nice double platinum rolex for dinner but make sure you have coins left over for the Pioneer Bus ride back home!